We know shopping for a new car can seem daunting and your inner battle between buying new versus used is very real. However, we know pre-owned vehicles, which is why our dealership at Pfaff Audi Vaughan can offer the selection, quality, and deals in luxury pre-owned vehicles we do. There are many advantages to purchasing from a used car dealership but don’t just take our word for it. 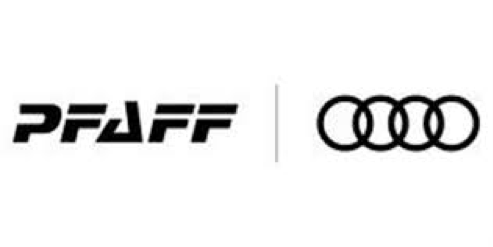 In this article by Pfaff Audi Vaughan, we will talk about the benefits of purchasing a used Audi vehicle from our Woodbridge used car lot at 115 Auto Park Circle! Read on for more information. Begin your search for premium quality used Audi vehicles here! A reputable dealership with experience in trade-ins and history in sales of used cars will know their stuff. They will be better equipped to answer any questions regarding technical or mechanical issues and chances are they will have a separate service department. The odds that your used Audi vehicle should undergo or has already undergone a very extensive technical inspection are high. Often a preowned vehicle will be inspected based on the manufacturer’s requirements. You can always request a Carfax report, an independent inspection, and/or written guarantee on any repairs completed as well. A private seller will not be able to offer you financing options. Most often, they will be expecting cash as payment, which leaves you with little to no options. A dealership, like ours, will have the experience in transferring car ownership, which can save you a headache while also being able to offer you financing terms that will better fit your budget. Buying from a private owner provides you only one selection. Our Woodbridge used car lot at Pfaff Audi Vaughan has hundreds of premium quality pre-owned Audi vehicles in various makes and models. If you are flexible with model, make and color, then you will be able to find a vehicle suitable for your needs. You won’t have the hassle of searching the newspaper ads or talking to several private owners. You do a little research about the type of vehicle you want, head to the dealership and let their expertise guide you on your quest to finding a car that fits your budget and meets your requirements. For more information about why you should consider visiting our Woodbridge used car lot at Pfaff Audi Vaughan, please feel free to continue browsing through our website. Click here to find our contact information, fill out our contact form, and schedule a test drive today!